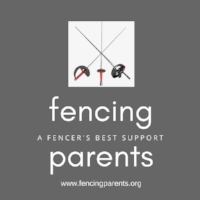 Many members of the fencing community have brought to Fencing Parents’ attention their concerns about the size of US Fencing’s annual delegation to the Junior and Cadet World Championships. They say that the delegation regularly includes people who have no connection to and do not in any way support the 42 to 43 fencers competing in the championship event. International travel is expensive, especially to an event that lasts almost 2 weeks. Given the limitations on US Fencing’s resources compared to national governments that fund their national teams, the concerns raised are very legitimate. See: NACs Will Generate An Estimated $1.9 Million Surplus This Year, So Why Did US Fencing Raise Event Fees? Why are these individuals there? How much does it cost to send them to the championship event? This year, we may have a few answers from the Championship just ended in Torun, Poland. Who did US Fencing send to Torun, Poland? US Fencing sent 20 people who they designated as part of a cadre to the 2019 Junior and Cadet World Championship, and they also sent the President of US Fencing. That’s 21 people who went as part of the official US Fencing delegation. Together with the President of US Fencing, that accounts for the 21 people who went to Torun at US Fencing’s expense. Note: A cadre is a small group of people specially trained for a particular purpose or profession. These 21 people were sent by US Fencing to “support” the 43 Team USA members including 18 cadet fencers and 25 junior fencers, all of whom were already supported by their personal coaches (about 40 coaches) and their parents. How much did it cost to send the cadre? Almost $70,000 by Fencing Parents’ estimate. The hotel costs reflected below are actual numbers in euros which we translated to US Dollars. It looks like all cadre members stayed at the Copernicus Hotel in Torun. The airfares are based on our best estimates using each cadre members city of residence for flight origination and the city of Gdansk as the destination. There were cadre members who flew into Bydgoszcz Airport and Warsaw Airport, but for simplicity we used Gdansk to estimate airfares. Also note that there were very few United Airlines flights available, so the ability to take advantage of the US Fencing/United partnership was limited. It would not be unreasonable to assume that the US Fencing President’s costs ranged between $3,000 and $5,000 depending on how many days he stayed in Torun. If he hosted any dinners for FIE officials and others, the costs would potentially rise above $5,000. The combined costs of the cadre and the US Fencing President are potentially $70,000 or more. Do we think the size of the cadre and the costs incurred to send them to Torun reasonable? While many European and Asian fencing teams enjoy full government support, US Fencing depends on membership dues and NAC surpluses with some help from the US Olympic Council to pay for the costs of Team USA’s participation in international championship events. Support for our cadet and junior fencers at international championships must be unqualified. However, US Fencing has limited resources to send a lot of officials to international championships who have no role supporting our fencers. US Fencing is not in a financial position to rival the government funded national teams who can send plenty of official representatives. Money should only be spent where it helps our fencer’s performance and not otherwise. The event was organized by the FIE, why did US Fencing need to send 5 staff members? There were cadre members who brought their families and stayed in larger, higher cost rooms. Did they reimburse US Fencing the difference? There were cadre members who stayed in higher cost rooms (56% higher) on their own. Did the hotel run out of single rooms? Is it a necessity to send designated mission representatives, when the National coaches (several of whom are also Olympians) could play dual roles? For international championship events organized by the FIE, all expenses for US referees selected are paid for by the FIE and not by US Fencing. US referee costs for Torun are, therefore, not a factor to be considered in this discussion. This article is based on information and data from reliable and trusted sources. To protect the privacy of its sources, Fencing Parents will not reveal their identities. Where estimates have been used, they are clearly indicated as such. The Comments section will be open for readers to give their opinions. The Comments section is open, and we invite your opinions. You do not need to log in to comment, and you may comment anonymously or use a pseudonym. That said, we want a constructive discussion, and reserve the right to remove comments that are personal in nature, disrespectful, abusive or inappropriate.